Gather as the sun sets over beautiful Anaeho`omalu Bay every Wednesday, Saturday and delight in classic Polynesian entertainment featuring live music, traditional dances of the South Pacific and a delectable selection of contemporary and Hawaiian fare with a full open bar. Experience the most popular Luau on Hawaii, the Big Island, and discover a kaleidescope of color, music, food and dance at Hilton Waikoloa Village. Indulge in Polynesian delicacies such as kalua pig, fresh island fish, tropical fruits & salads, and unique island-style desserts. The background sound of surf against soulful steel guitars. Laden tables fragrant with imu-roasted kalua pig, island fish, laulau, lomi salmon, sashimi and piles of pineapple, papaya, and more. Teach your keiki the joy of finger-licking poi, dancing hula to the "Hukilau" or being wowed by the fire dance. 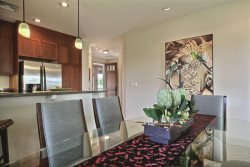 Created for Newsweek magazine back in the 60`s The Mauna Kea Hawaiian Lu�au completes the experience with a taste of culture shared by means of music, food and family tradition. Big Island`s most popular luau at King Kamehameha`s Kona Beach Hotel. Located on the historical grounds of Ahu Ena Heiau on Kamakahonu Bay. Buffet dinner, open bar, spectacular Polynesian review.